Thanksgiving is a perfect excuse to bring family and friends together over heaping mounds of food, which pretty much makes it the best holiday ever. Even better, you can eat for days after the main event … until you just can’t eat another turkey sandwich. That’s where phyllo comes to the rescue. We’ll help you makeover your leftovers in unimaginably delicious, flaky ways. Melty cheese disguises dry turkey (not to assume your turkey was dry, but, well, you know … it’s turkey). That’s why these Gruyere and cranberry shells are bomb. 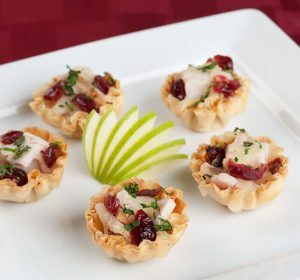 Creamy, cranberry-y, there’s a ton of flavor packed into each small bite. Need a heftier snack? Roll all the fixings into a phyllo turkey gobbler. It’s kinda like a burrito and a spring roll had a Thanksgiving baby. 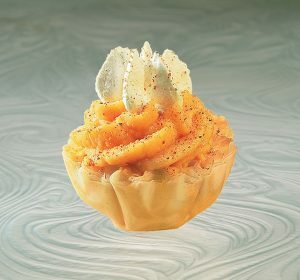 Who doesn’t live for sweet potato casserole? It’s 100% dessert, but magically served with dinner. 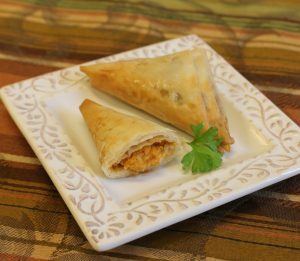 While great as is, leftover yams are even better stuffed in a crisp, golden brown phyllo turnover or tart. Try them folded into a triangle, or scooped in a shell. You know how every pumpkin pie recipe ever calls for just enough filling that you’re left with half a can of unused pumpkin? This is what you do with that extra half a can. 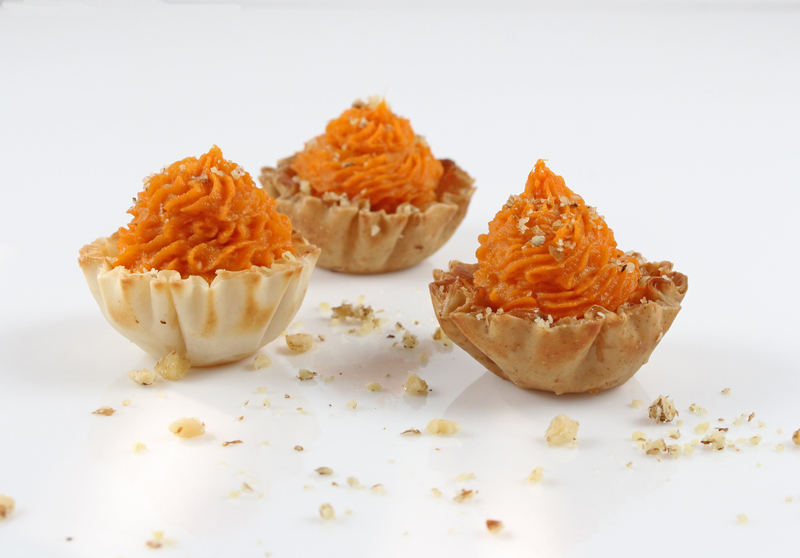 Pumpkin mousse is a lightened up take on dessert, while pumpkin mini cheesecakes go a more sinful direction. No matter what you make for Thanksgiving Day, there’s a way to reimagine it later. Enjoy, and eat up! Find more Thanksgiving recipe inspiration on our site and our Thanksgiving Pinterest board.